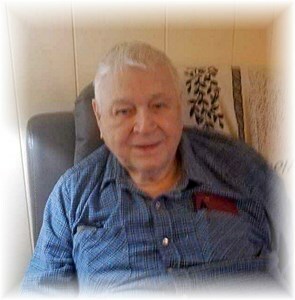 Don Mounts, 92, of Indianapolis, passed away on April 2, 2019 at Greenwood Meadow. Don was born on March 3, 1927 in Harristown, Indiana to Edgar & Olive (Roberts) Mounts. Don enjoyed photography, coloring, playing bingo, genealogy, and was proud of his military service. He served in the United States Army and was stationed in Germany. Don is survived by his children and their spouses: David Mounts, Douglas & Deborah Mounts, Karl & Therese Mounts, Susan Mounts, Sandra & Kim Maynard, Stuart & Tracy Mounts; sister: Carolyn Ellis; 14 grandchildren, 28 great-grand-children, 5 great-great grandchildren and a host of other family and friends. Don was preceded in death by his parents; son: Kevin Mounts; siblings: Thomas Mounts, James Mounts, Norma Mounts; daughter-in-law: Terrya Mounts; grandchild: Christopher Mounts; great-great-grandchild: Silas Howard. To share a memory of Don or leave a special message for his family, please click the "Share Memories" icon above. Add your memories to the guest book of Don Mounts. It has been along time since I last seen Don. We were just kids. So sorry to hear of the loss of another cousin. You have my deepest sympathy. My best memory of Don is when we were a lot younger and they would come down to visit. He was always out climbing up in the large maple trees at my Mom and Dad's in Pekin, Indiana. I would watch and wished I could get up that high. He was always a lot of fun to be with. Don was my Uncle. I have many memories of him and his children. One was around Christmas and we had a snowball fight through Grandma Mounts’s house and she chased us with the broom. Prayers for the family. Rest In Peace. Fly High.